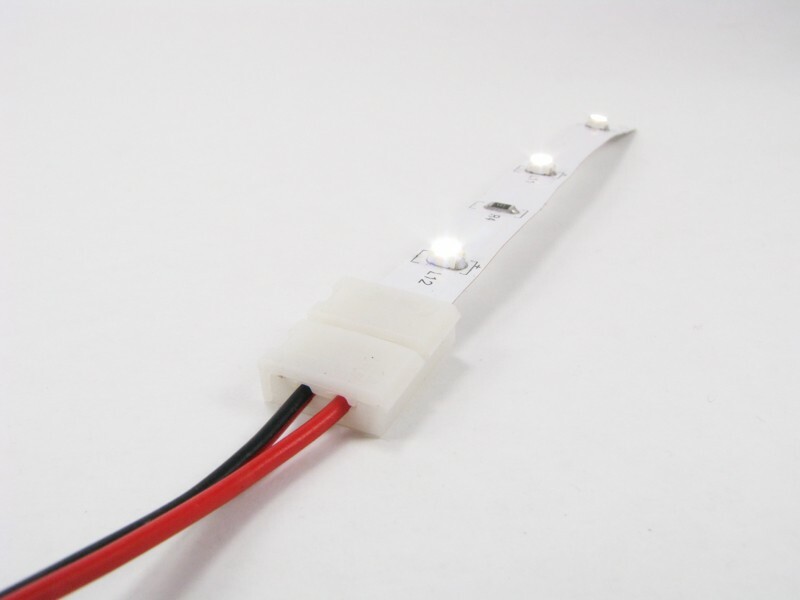 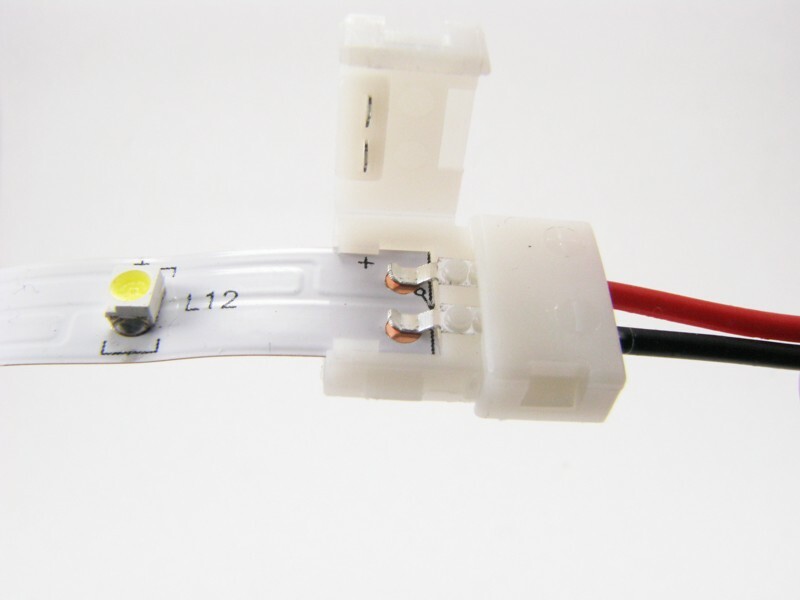 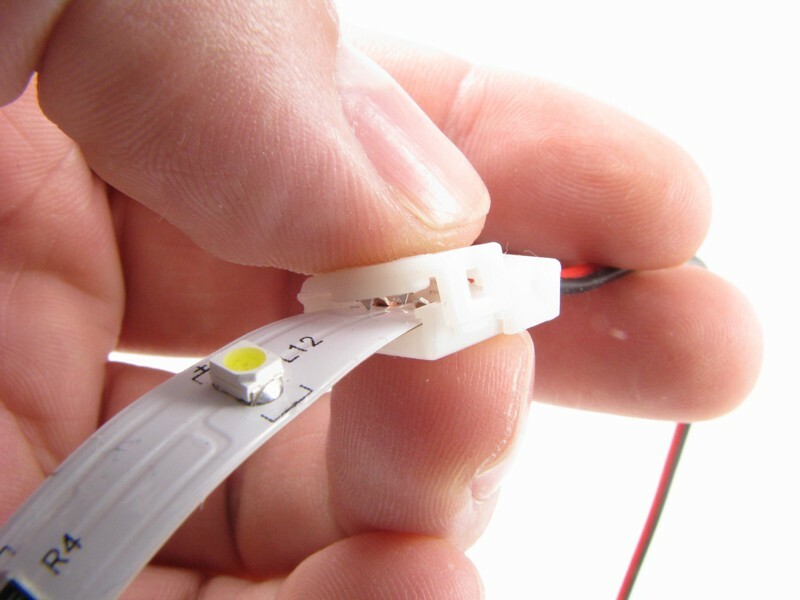 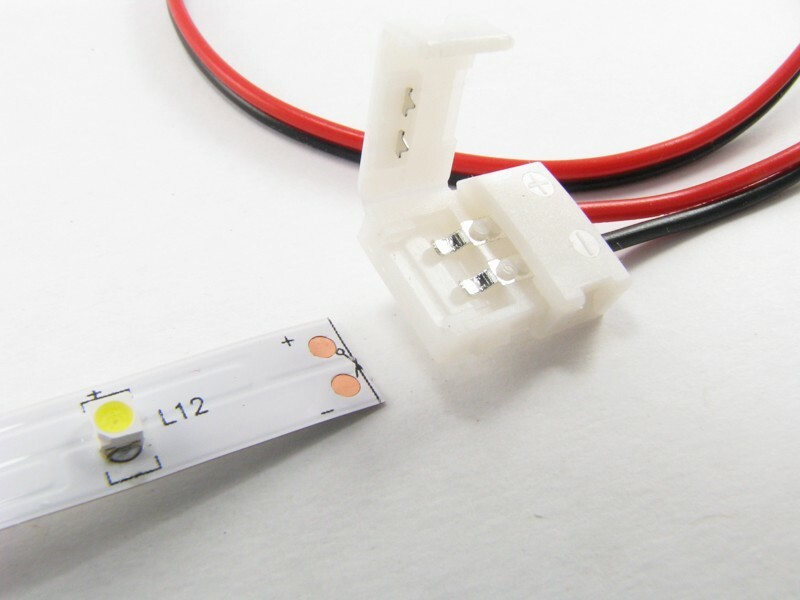 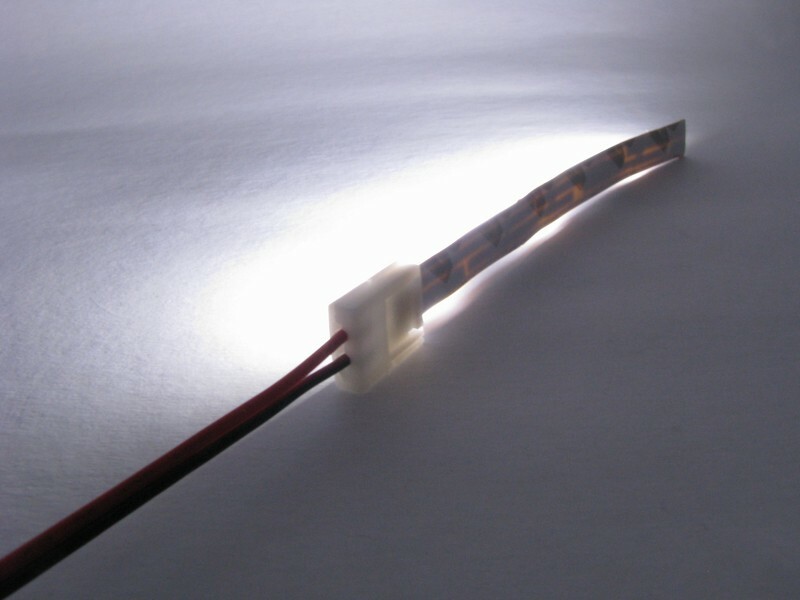 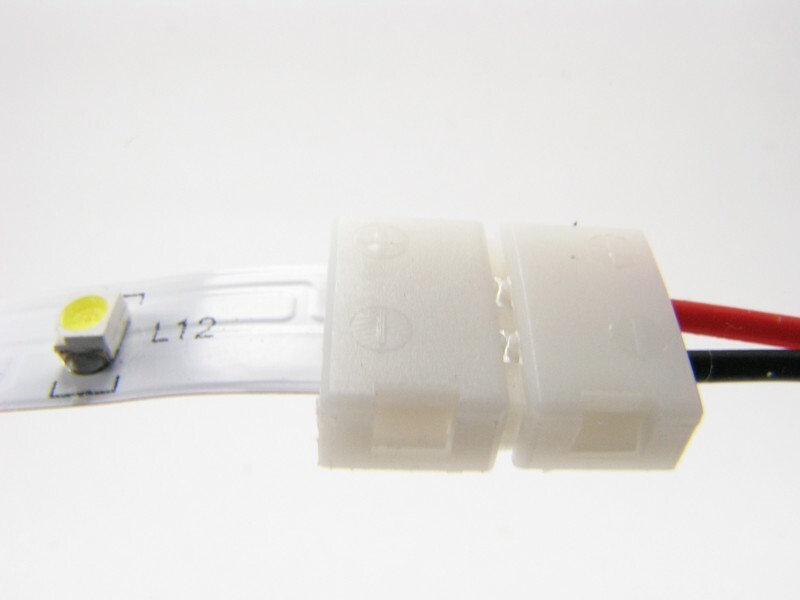 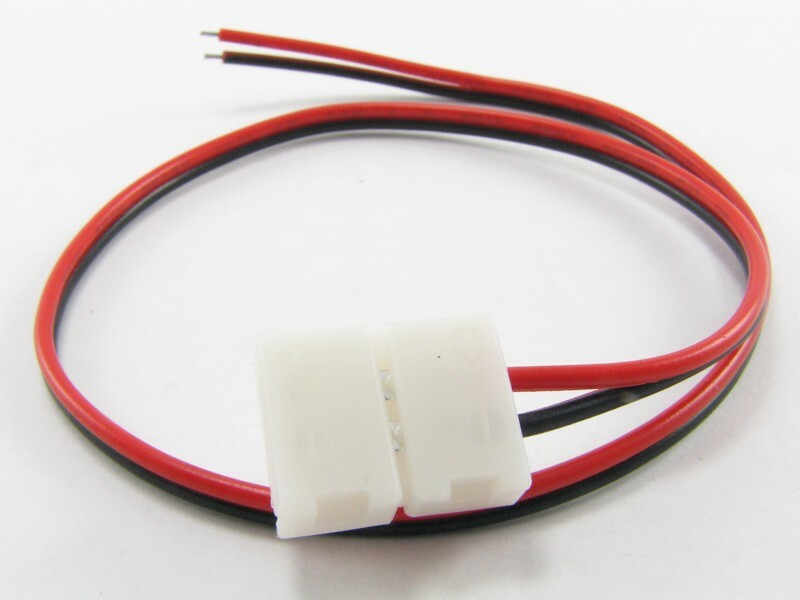 This is a Strip Light Connector which can be used to connect wires to LED strip lighting such as our 5 meter LED strip light. 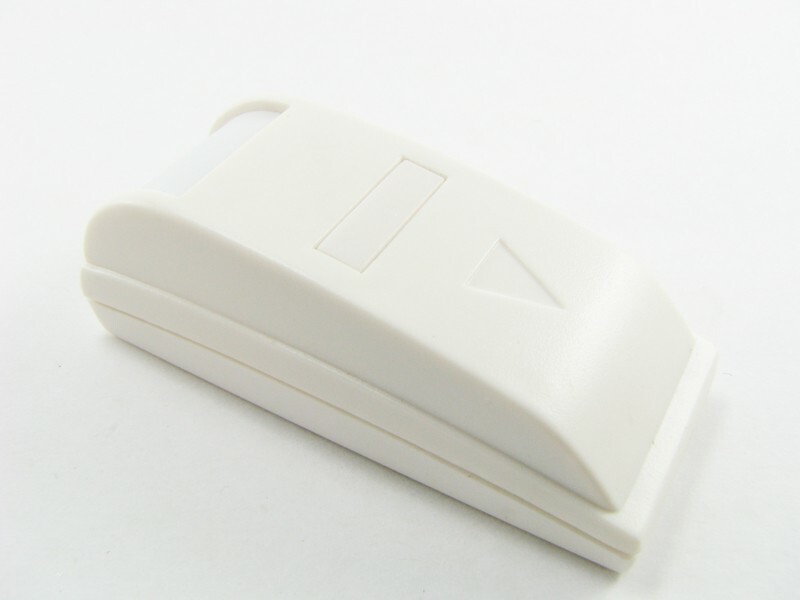 To install you need to open the snap cap from the end opposite where the wires exit. 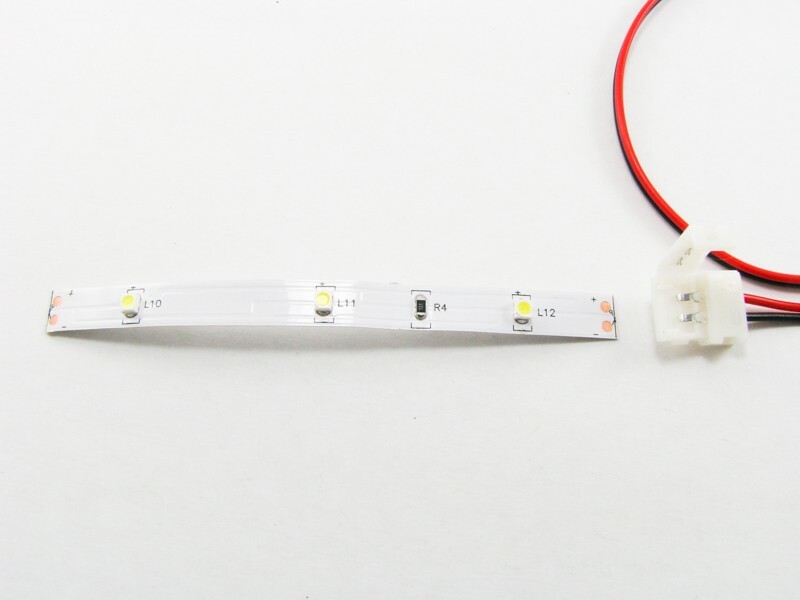 Slide the 8mm wide LED strip light into the opening as seen in the pictures below. 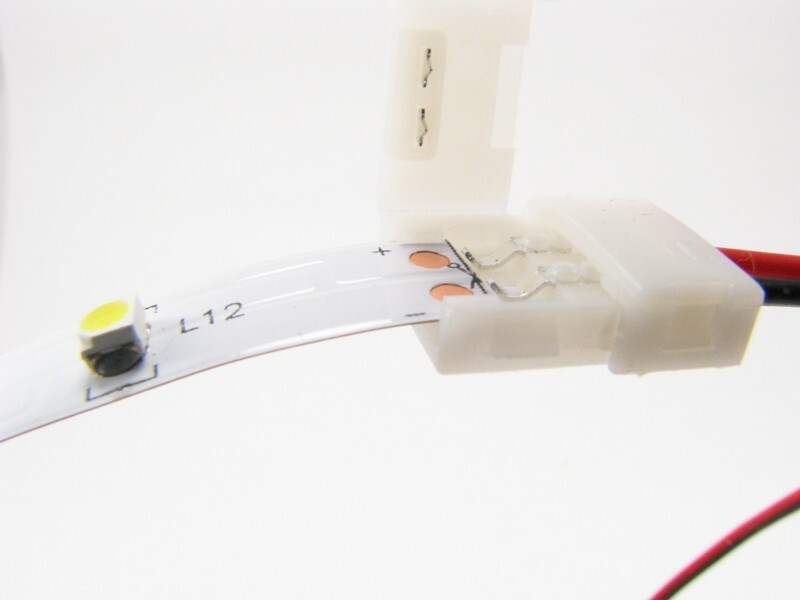 Please note that the positive (red wire lead) needs to be connected to the side of the lighting strip marked with the + symbol. 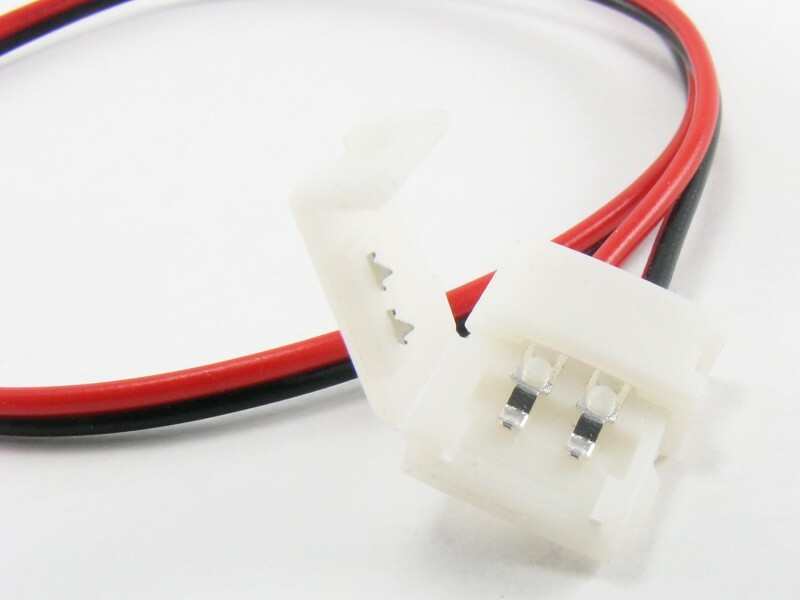 When the strip light is pushed into the connector such that the copper connection dots are under the connector wipers snap the connector cap shut.